Back in June, a Sydney man made headlines when he had the chip from an Opal card inserted just below the skin in his left hand, so he could travel the local transport network without having to fumble around for his card. The man is well-known biohacker Meow-Ludo Disco Gamma Meow-Meow. His experimental transport card is just one of the ways he, and others like him, are expanding parameters through the modification of living organisms to see what sort of innovations can be achieved. However, Mr Meow-Meow’s internal Opal card drew the ire of Transport for NSW (TfNSW). The organisation claimed the implant breached its terms of service, and threatened to deactivate the chip. TfNSW deactivated a card registered under Meow-Meow’s name, but it turned out to be a different one. On August 25, Meow-Meow was approached on a train by two transport officers, who wanted to scan his card to see if he had paid for his trip. Rather than let the officers scan his implant, which would have given them the ability to shut it down, he let them check the Opal app on his phone instead. Even though the officers could see Meow-Meow had paid, they nevertheless issued him with a fine for travelling without a valid ticket. 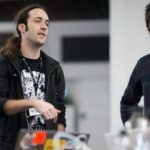 The biohacker vowed not to surrender to the will of the officers, and elected to take the matter to court. On Monday, he had his first appearance in Newtown Local Court, where Mr Ali Saleh of Sydney Criminal Lawyers® entered a plea of not guilty on his client’s behalf. The magistrate later set the matter down for a defended hearing on 16 March 2018. Meow-Meow waived his right to client legal privilege so that Mr Saleh could speak about his matter. “To be clear, he hasn’t been accused of failing to allow the ticket officers to inspect,” Mr Saleh explained. “The allegation is that he was ‘travelling without a valid ticket,’”. 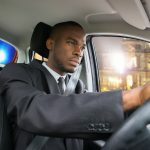 The lawyer added that his client was indeed travelling with a valid ticket – albeit one which was implanted in his hand. Mr Saleh and Meow-Meow could not go very much further into the details of the case. However, Meow-Meow was able to speak about the initial court date and how the saga raises interesting questions about bodily autonomy and cyborg rights. As technology progresses and more devices are implanted within people’s bodies, at what point do companies cease to maintain control and ownership over the products they’ve produced. Indeed, this is the second such case in the world that’s involved the rights of people who implant technologies into their bodies. Meow-Meow believes eyes from around the globe will be fixed upon its outcome to see where authorities draw the line when it comes to ownership and the body. 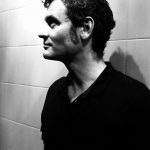 We spoke with BioFoundry director Meow-Meow just after he got out of court on Monday. He told us how the appearance went, the reasons why he’s challenged the matter, and the implications this has for the future of cyborg rights. Firstly, Meow, you’ve just appeared in Newtown Local Court having mounted a challenge against Transport for NSW. What was the outcome of today’s court appearance? Ali represented me. And he lodged a plea of not guilty. The judge said, “For riding without a valid ticket? You either have a valid ticket or you don’t.” She saw it as a very binary matter. Her eyebrows raised, and she said, “OK, when are we going to schedule this in?” So, she recognised that this is a matter for dispute, and we’re scheduled in for March 16. 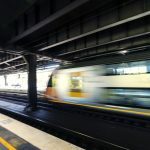 Basically, between now and then Transport for NSW may look to withdraw. But if not, we’ll have two witnesses, which will be the transport officers who gave me the fine. And we’ll all be talking about it in Newtown Local Court again. Can I ask, what was your motivation for implanting an Opal card chip into your hand? We knew it was possible for a start. 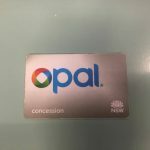 Amal Graafstra from Dangerous Things, a website that sells body modification technology, said that we should be able to do this with an Opal card. He went and did all the hard work. He modified it and created a new antenna. And then asked me if I wanted to implant it in my hand, because, we’d joked about it being a possibility. When he built it, I got very excited. For a start, it’s actually convenient. If you take away all of the nonsense and circus around what’s been happening, it’s very convenient. I can walk up to the turnstile with a coffee in one hand, and a burger in the other, and I can just tap it and walk through. So, it’s convenient. I don’t lose it. It’s waterproof. But also, at the same time, it’s important now that they’ve challenged me to fight it in court. Because, it’s about bodily sovereignty and the rights of people who implant technologies in their bodies. So, as you’ve just mentioned the case involves cyborg bodily sovereignty and rights. This sort of movement and technology is quite new. 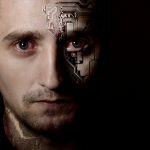 Can you explain what cyborg rights actually are? But, after I plant it in my hand, they’ve decided they still have the right to switch it off. That means I would have to get surgery to remove it, because it would be useless then. I don’t think they have the right to do that. Once I put it inside my body, I don’t think they have a right to be able to switch it off. Especially, if we look at where this could go. The case I’ve been using is my friend was on a plane with a guy who makes pacemakers. And the only way for them to make more money was to drop the lifetime of the battery from 10 years to 5 years. This is kind of funny. I’ve got a transport card in my hand. But, the implications of a company’s rights over technology after it goes into your body is really important. This case might be landmark in future decisions, which we will see happen. Because, I already know people in America who are looking for alternatives for pacemaker batteries, because it costs so much money. That’s what this comes down to: how much rights do you have over what’s inside your body if a company sold it to you? How long do they own it for? Do they still own it? Right now, legally, Transport for NSW might actually own my body more than I do, which is ridiculous. So, this is the second cyborg rights case in the world. What was the first one? The first one was to do with Rich Lee. They called it biohacking. When he divorced, his wife used his body implantation as evidence against him, saying he was mutilating his body, rather than augmenting it. He was in a very conservative state and it played into their decision to stop him seeing his kids. 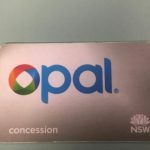 Do you still have an Opal card chip in your hand that works? And that doesn’t pose any health risk? Not that I am aware of. It’s encased in a bioplastic. So, that means that my body doesn’t recognise that it is even there. What will your next biohacking experiment be after the Opal card? The thing I am looking forward to most is the VivoKey. It’s like a baby computer inside your hand. That’s the sort of thing I am most interested in. The stuff I am interested in developing is actually more aesthetics. So, I’m interested in LEDs. And I’m also interested in anything that augments me in the way that it can sense things from my hand. Things where I can increase automation in my life. What I would love to do, is to be able to wave my hand before I go to sleep, and the lights fade out. That would be nice. Or I’d love to be able to click my fingers and the kettle boils, so I don’t have to get out of bed until my coffee’s almost ready. Anything like that, that makes my life easier, is good. Some academics from Adelaide called my implant the world’s dumbest superpower. But, the reason for this is that it’s really ordinary. But, ordinary things are actually the best, because you use them all the time. Other implants you hardly even use. Even though they might give you some interesting functions, they’re not things that I am doing every single day without fail. Whereas the Opal card, even though it’s a very small simplification of my life, it’s so ingrained and automated now, that it is one less thing that I have to worry about. And onto a different matter you’re running against Barnaby Joyce in the New England by-election on December 2 as a candidate for the Science Party. What are the key issues you’re running on? The main ones are building infrastructure, pro technology, trying to attract international start-ups into Armidale, and the New England electorate. Particularly, my dream is to turn the New England electorate into an agricultural technology hub – an agtech hub – that’s world recognised. And the way that we do that is by partnering with universities, and giving federal support to things like visas for people to come from outside of the country, who are interested in going there. The most important things are 4G coverage and NBN. At the moment, it’s one of the oldest electorates in Australia. If you want to keep young local, talent there, the way you do it is by giving them good quality of life. This is why you see other parties, like the Affordable Housing party running there. There’s strong support for Barnaby Joyce. But, there are a lot of people, who are unhappy and disappointed by what he’s done. To be honest, it takes five minutes on Google to find out whether you are a dual citizen or not. If you or I flaunt the law like that, we don’t get the same response. He’s lied to the Australian people. He lied to the Australian parliament. He clearly went against the constitution. He didn’t step down when there was a question mark over his head. And this annoyed a lot of people there. And on top of that, there’s a lot of young, technological-focused voters, and people upset about what is happening in Manus that are looking to get rid of Barnaby. I think we’ll poll quite highly. Especially, with younger farmers because they understand the advantage that technology gives to them. And lastly, your next court date is set for March. You’re being represented by Mr Saleh. How are you feeling about where this case is going to progress to? And what do you think will happen? I’m really excited to challenge them if they let the court date stand, and don’t withdraw. I’d be really excited to see them in there. And I’d be really interested to see what the outcomes is. Because, a lot of people will be watching this curiously to see which direction the Australian government takes with respect to bodily sovereignty, and technology. Meow, thanks very much for taking the time out to have this chat today.